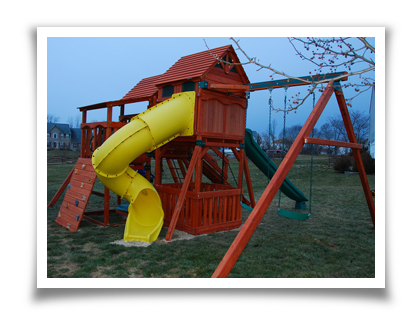 We realize that we don’t just sell and install Play Sets, Basketball Hoops, Trampolines, and other outdoor products. We provide smiles on the face of your child as they reach the top of that Rockwall for the first time; remember the picture you took and sent to all your friends? Or, the summer sleepovers when they all jumped on the trampoline past dark, you had to tell them to quiet down, or come inside. Maybe you’ll watch your child drop the winning shot at the buzzer for their school team, and think back to all the games in the driveway, or remember your kid practicing for hours under nothing but the moonlight. This is what we sell and this is what we love. BackYard Adventures Mid-Atlantic is located just a short drive from the Baltimore/Washington Metro area in beautiful Ijamsville, MD. 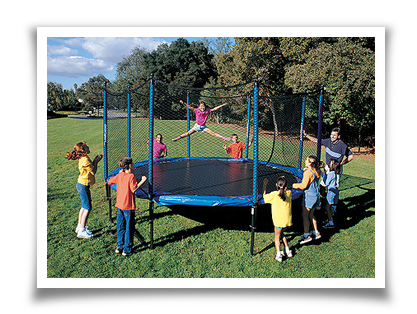 We are a family operated business and a proud dealer for BackYard Adventures play sets, Goalsetter basketball systems, and JumpSport Trampolines. We also provide a large number of do-it-yourself play sets, and other great outdoor products; we make all of our products available Nationwide by way of our online store. Locally, we provide exceptional face to face sales, installation, and service for the Mid-Atlantic area, with most of our business being conducted in Maryland and Northern Virginia. For our internet customers, you can expect the same service you would get as you would if you were standing in our showroom, nothing but the best. Our business started in 2001 as a swimming pool service business, Aquatic Solutions, LLC. As time went on we slowly began to venture into other back yard interests, usually by suggestions from our customers. Clients would ask us, “do you know somebody…” or “why don’t you…?” So in 2010 we brought on the new back yard products to our already successful service company. Under the same ownership we removed the outdoor business from Aquatic Solutions and started who we are known as today, BackYard Adventures Mid-Atlantic. Aquatic Solutions is stronger than ever and still provides the full extent of swimming pool service and supplies from basic openings and closings to complete pool renovation. We have an extreme amount of passion for what we do, and understand the great responsibility we have by delivering a product of such importance to you and your family. Let the memories begin!